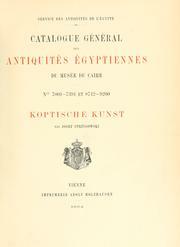 2 editions of Koptische Kunst found in the catalog. Add another edition? Published 1904 by Impr. A. Holzhausen in Vienne .